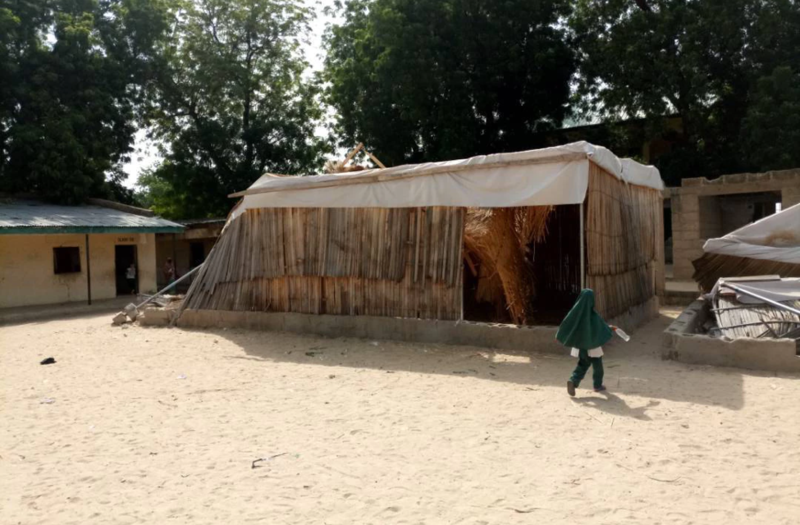 Jakusko community has the population of 15000 – 17000 est and is one of the communities with a high number of enrolled children in schools in Yobe State. The community has three primary schools. Out of the three, Central Primary School alone serve 3325 pupils, and the schools lack chairs, classrooms and other infrastructure. Jakusko is located in Zone C Yobe State Senatorial district with the majority of the community being Bade followed by Kanuri. Jakusko shares a border with Bade and Karasuwa Local Governments. 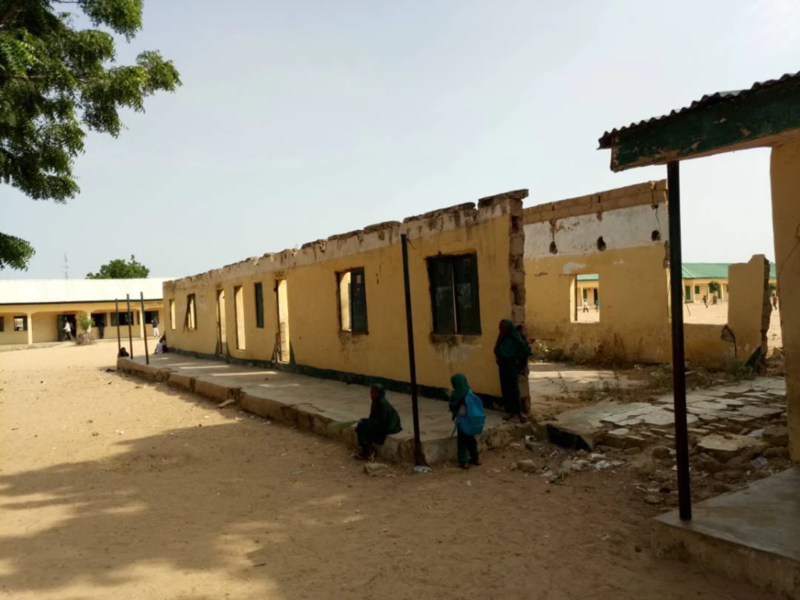 We have initiated #EducateJakusko campaign to track the construction of six blocks of classrooms with solar-powered borehole in Jakusko to be implemented by the Border Communities Development Agency (BCDA). We invite the public to get involved in the campaign today. 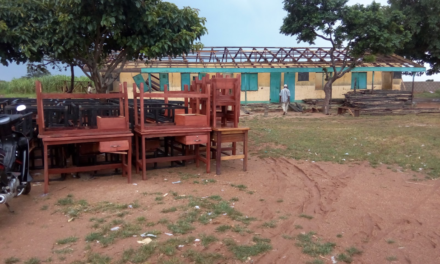 Help us in this campaign so that Jakusko children will have access to a conducive learning environment through the construction of more classrooms in the school and providing them with access to water. 27 February 2018: Having not heard from the BCDA on details sought regarding the project implementation such as the contract award documents, successful contractor details, actual project amount and bill of quantities, as well as confirming that no sort of implementation had started at the community, we wrote a petition to the ICPC, EFCC, Auditor-General of the Federation and the National Assembly (Senate and House of Reps) to conduct investigation over the project. 5 October 2017: During the community outreach at Central Primary School Jakusko, we interacted with the assistant headmaster who commented, “over 300 pupils stay in one class. There are no desks for them to sit. 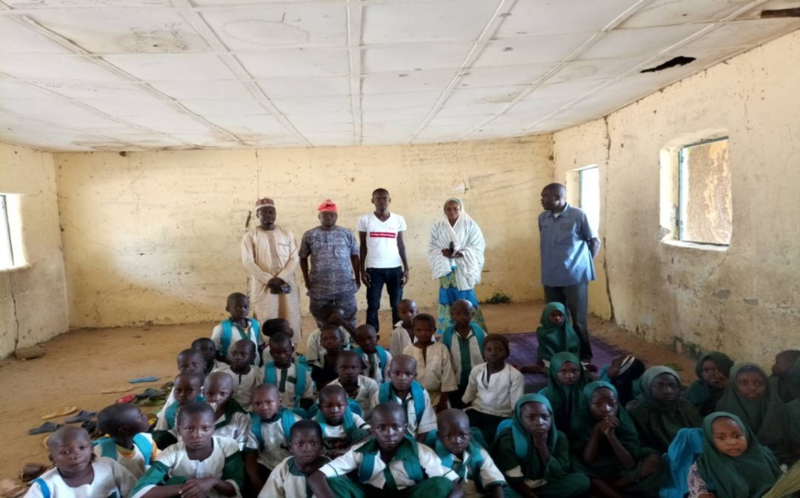 They all sit on mats donated by either the teachers themselves or some members of the community who became worried about the plight of Education in the community. We don’t have good and enough learning facilities in the school, in short, we use to buy teaching material with the P.T.A fee we are receiving from the pupils. 5 October 17: Still speaking with the assistant headmaster, he commented, “as you can see there are no windows in the classrooms, whenever it’s about to rain we quickly ask them to rush back home because one cannot stay in the class whilst it’s raining. Rain splashes in through the windows to wet anyone inside. 5 October 17: During the community outreach and while interacting with other community stakeholders, including the community leader, headmaster and some of the teachers, none of them was aware of the construction of six blocks of the classroom with solar-powered borehole project at the community. 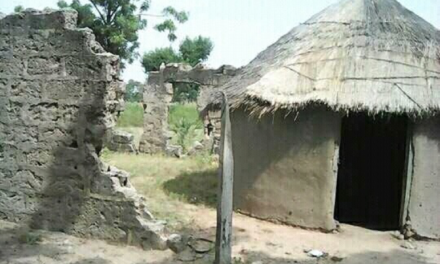 The village head specifically commented, ‘Border Communities Development Agency? Here is Jakusko? I am not aware. This is something am hearing from you guys for the first time. Of the things that amazed me this year, this issue is among. As a community leader, no one contacted us or informed us about such great development to be brought to this land and I thank you, people, for coming. I would’not have known if you guys had not come.